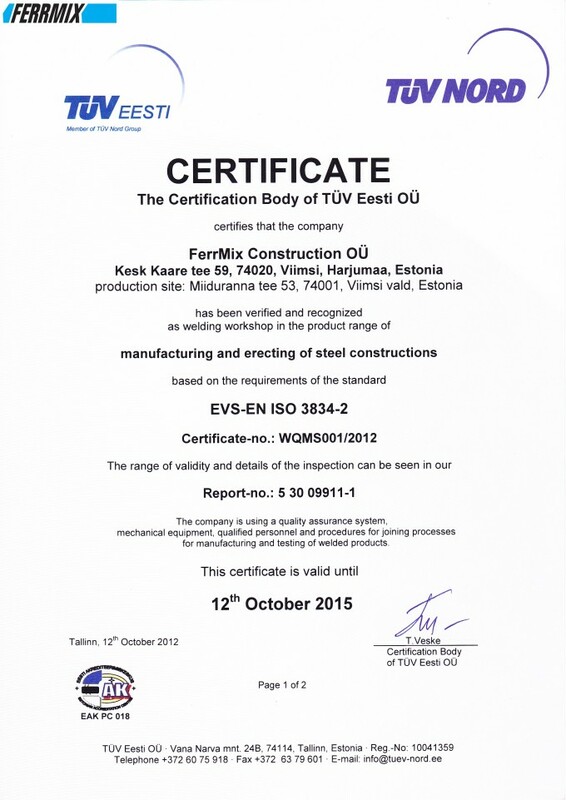 Our company is trying to achieve the maximum customers’ satisfaction. 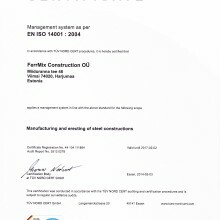 We implement a quality management system for the company to monitor the quality of the completed production, and to create better-working conditions for its employees. 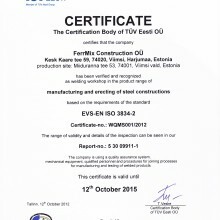 Our production complies with international quality and safety standards, as confirmed by the certificate issued by TÜV NORD (North) and TÜV EESTI (Estonia) experts. 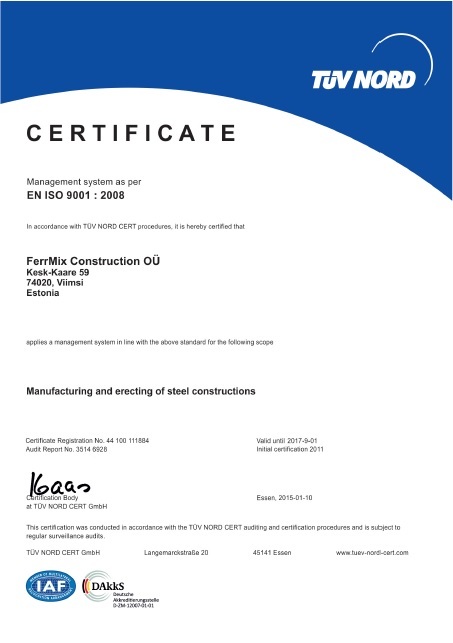 ISO 9001 The quality management system has been the standard for several decades in the civilized world, that turns out to be the most traditionally stable quality and certifies that the company strictly observes and complies the requirements established by international independent organizations, in this case, by the International Organization for Standardization. 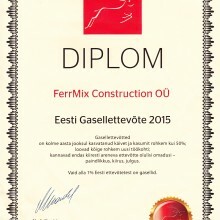 This certificate will serve as consumers as the main criterion for the selection of the company and for the guarantee of the quality of services offered. 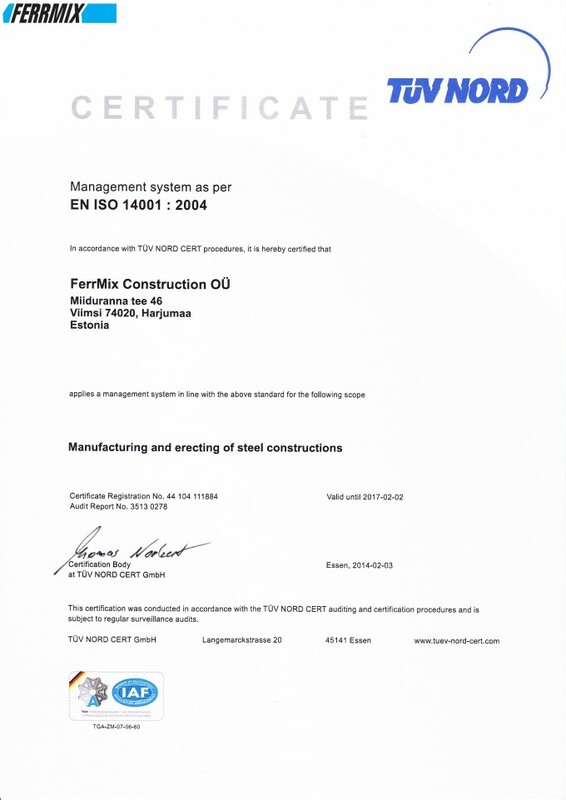 ISO 14001 The Environmental Management System is a standard by what industrial processes can be researched and reorganized so that they would have a minimal impact on the environment. 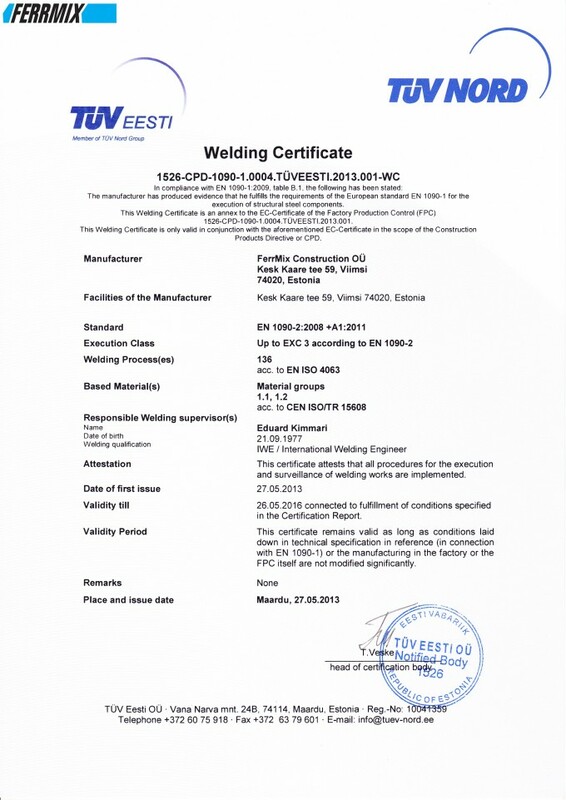 By the creation of Environmental Management System will be analyzed existing and potential risks searched ways to improve the technology industry. Our goal is to prevent harmful effects on the environment so we do not need only deal with the consequences. 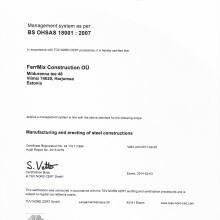 OHSAS 18001 Standard safety at work. 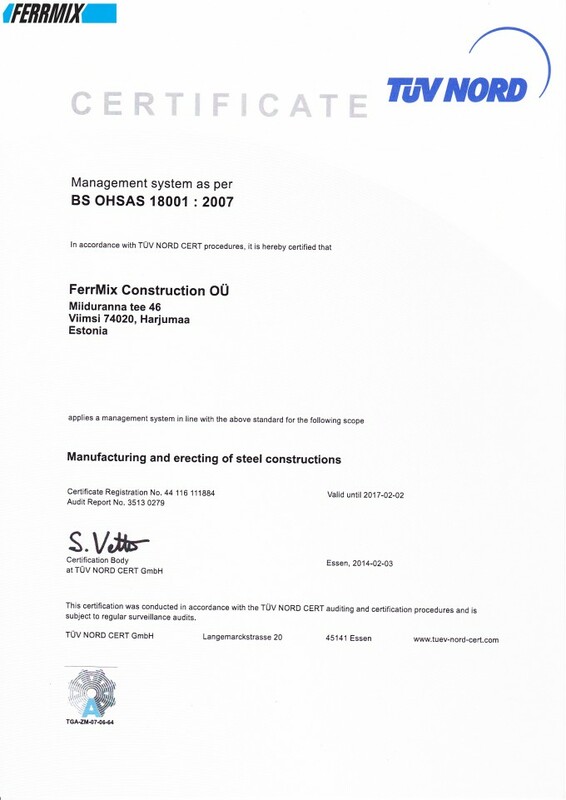 The work safety Management System’s certificate ensures safety for special supervision. 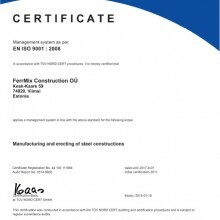 Undeniably it creates confidence in our employees in the presence of various industrial risks, which in turn affects the quality of the company ‘s work. 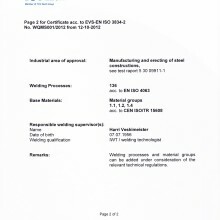 EN ISO 3834 Welding quality requirements for fusion welding of metals is a standard that will ensure compliance with the technical requirements of the welding in the manufacture of structures and operation of structures according to their special purpose. 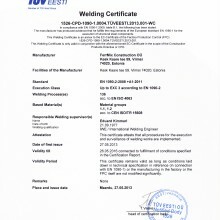 The standard provides for a supervision mechanism, manufacturing process management, and corrective effect in the preparation and realization of industrial processes, from the business proposal stage, analysis of agreement, process development to implementation, during what will be carried out the supervision before the start of welding, during welding, and after the completion of the work until acceptance tests. 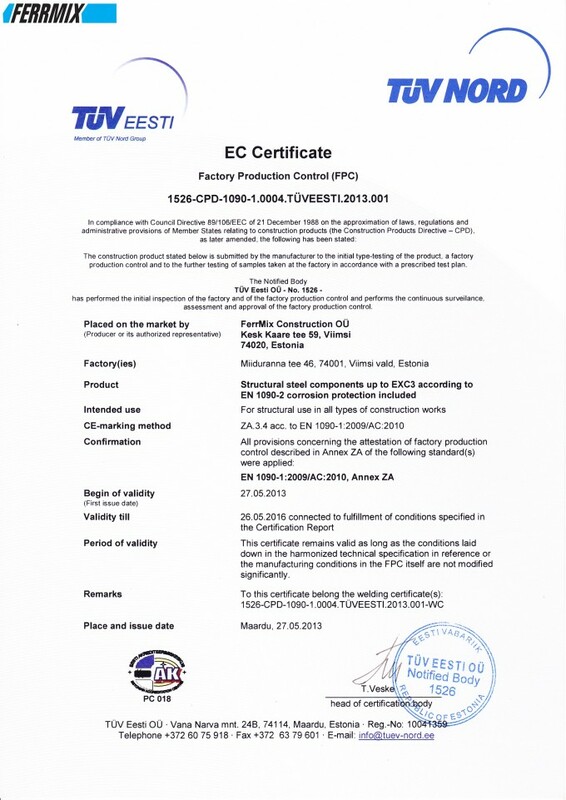 EN 1090-1 Requirements for the conformity assessment of structural components- an agreed standard that meets the requirements of European quality standards. 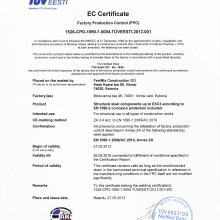 European quality certificate (EU symbol ) is mandatory for all goods traded in the European market. 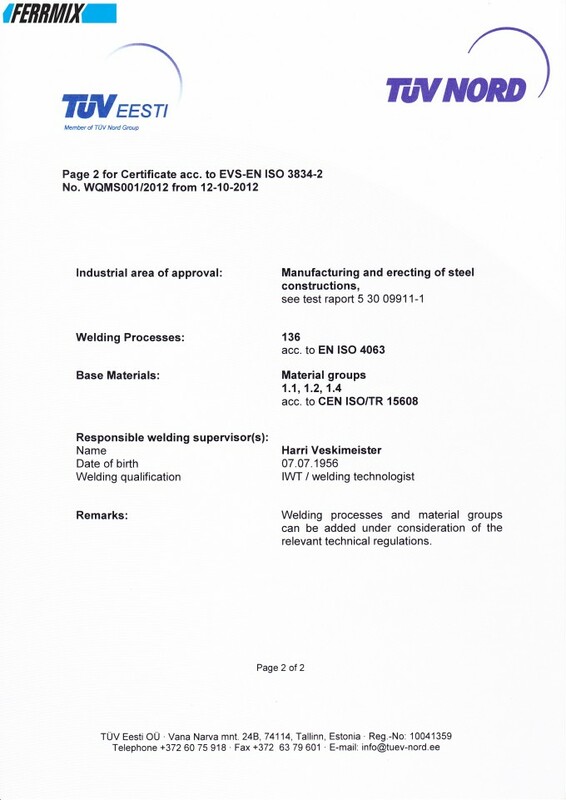 Marking means that the output meets the health and safety of the environment in accordance with the requirements of the European legislation and ensures the circulation of goods in the free market to more than 27 countries. 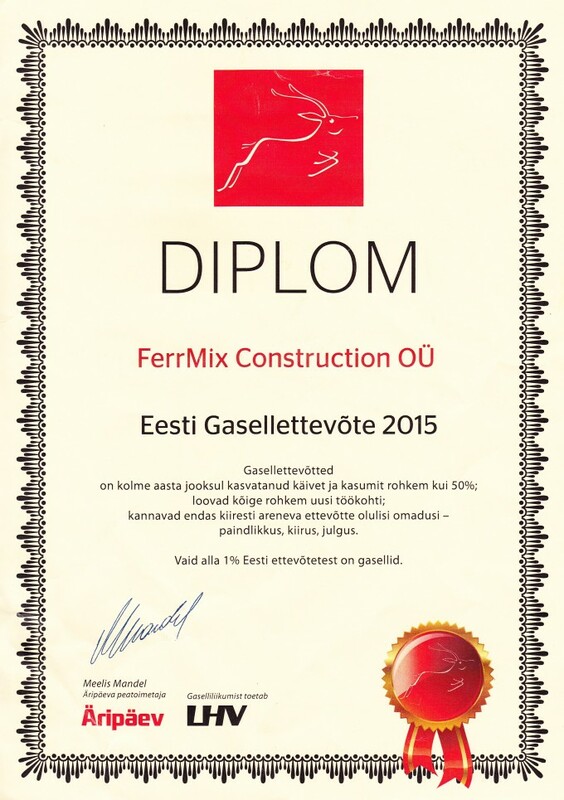 FERRMIX CONSTRUCTION OÜ have been recognised as the Gasell Company 2015 in Estonia. This nomination awarded to the companies which have over 50% grow in revenue and profit during last three years and significantly increased the number of employees.